Ilford’s panchromatic photo paper allows white tones to shine while the great range of black hues creates enchanting depths. This vibrant appearance is created through strong contrasts and rich tones, for a stunning effect that lasts and lasts. 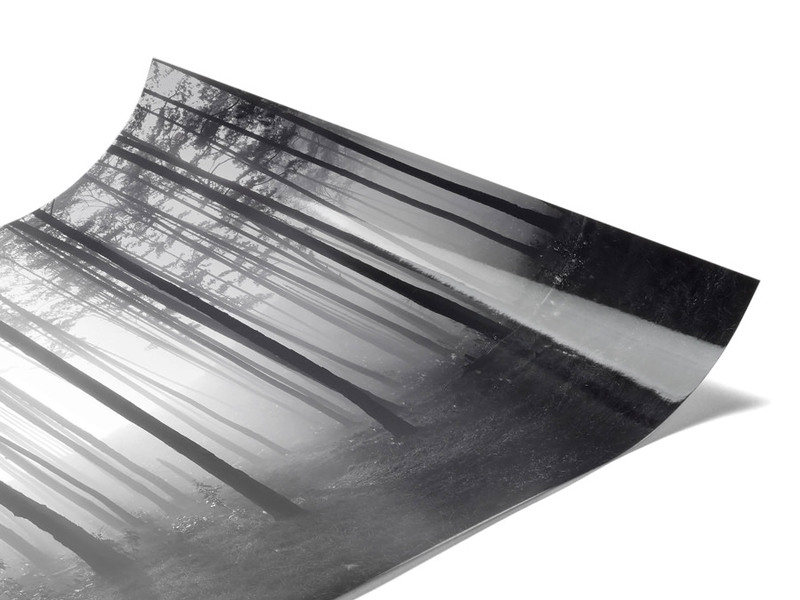 We trust this Ilford paper for professional and enduring black and white photo prints. Upon request we will add a razor-thin UV protective foil. This laminate is less than a millimeter thick and protects against dust and scratches. A white border around your image makes it easier for you to mount your black-and-white print in one of our museum passe-partouts. If you want to display your photo in its natural state – without a passe-partout or frame, the white border serves as a decorative finish. At WhiteWall, you can choose formats ranging from mini to extra-large for your photo print on Ilford B/W. We offer standard formats with different corner options as well as special panoramic, round, and square formats. A special feature of WhiteWall is the exposure of digital photos on baryte paper: the barium sulfate-coated paper is among the best. No, it's the best. Baryta paper is currently the highest quality photo paper and the premium choice for black and white photos. An enormous tonal range and high contrasts enable excellent image reproduction of your black-and-white photo on a classic barite structure. It was invented in 1866 and has been continuously improved ever since. Because of the high processing costs, prints on baryta paper are more expensive than normal prints. Understand the price as something special because that's what it is! The white shines, the black plays with different rich tones and gives your picture an inimitable aura. 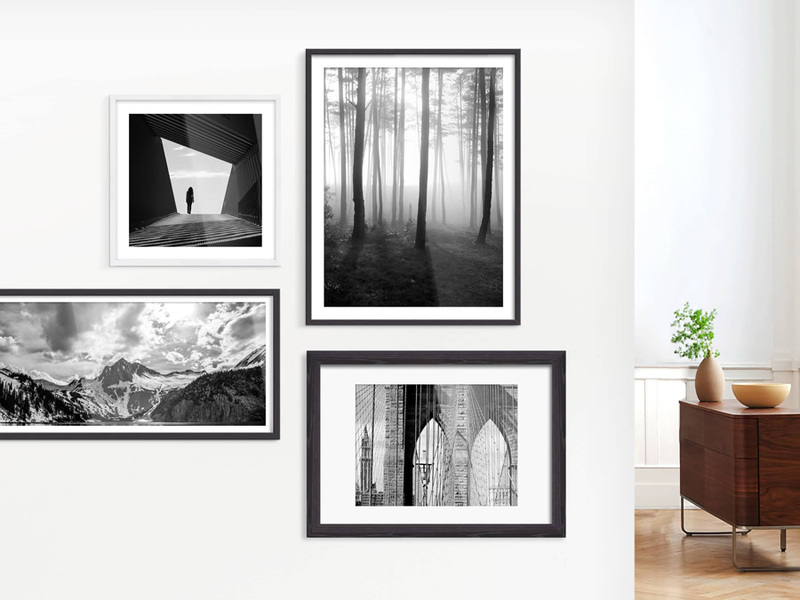 For a beautiful visual finish, you can choose our gallery frame with passe-partout: one of the highest quality and noblest products in the WhiteWall range. An individual passe-partout offers additional focus for your photo in the frame of your choice. The museum carton receives a precise oblique cut and ends flush with your photo. WhiteWall mounts consist of acid-free and extremely light-resistant museum cardboard. Best quality in different colours. 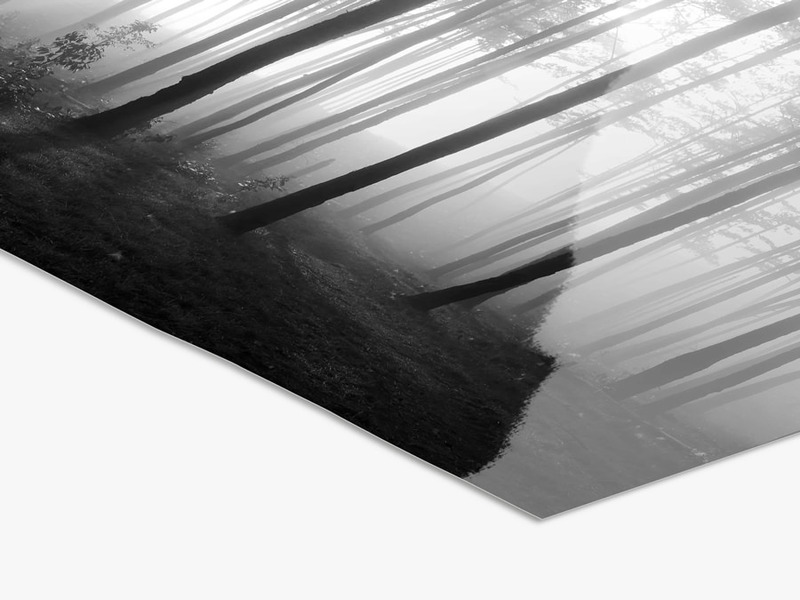 For even more depth, you can also superimpose two passepartouts in different colours. A unique selling point for more conciseness. Apropos depth: WhiteWall is the pioneer among online laboratories in acrylic mounting. We offer you a special service for your exposed photos on Ilford B/W: The mounting under acrylic glass. This photo enhancement supports the radiance of your photography and ensures a perfect presentation: radiant brilliance, clear image details and an impressive depth effect - your photo under flawlessly shiny and crystal clear acrylic glass. There are different versions available. Of course all in best quality. Already with a glass thickness of 2 mm you achieve a great effect and receive a work in gallery quality - ready for the presentation. Show how good your photos are. We make them even better.